Two of the frames in the first set I received were slightly warped so that they did not fit comfortably or evenly (although other than that they worked well). I contacted DA support, and they graciously sent me a second set. This arrived today, and the fit is far better. 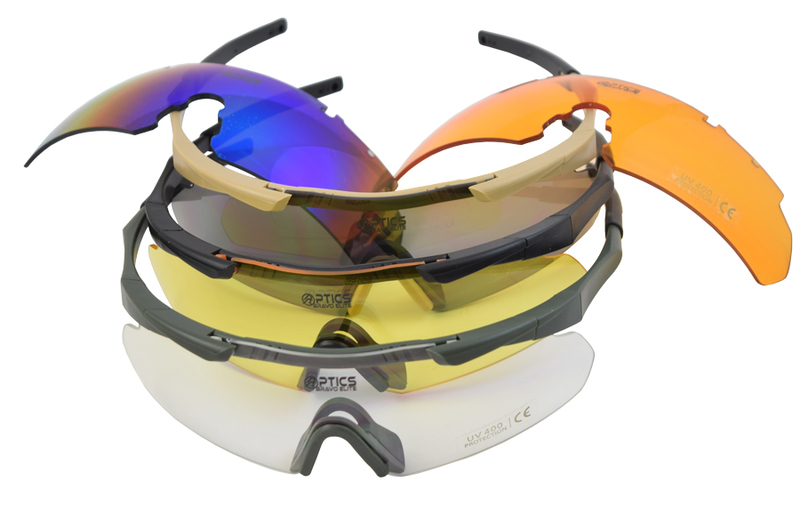 All three frames fit perfectly while at the same time allowing air flow to keep the lenses fog free in hot and/or humid environments. They are very light weight and comfortable, and the inclusion of 5 different lenses make it easy to mix and match with the three frames for all types of lighting conditions. The value for what you pay is excellent, and I highly recommend these glasses. Double Alpha is to be commended for their customer support, answering emails within (literally!) an hour, and going the extra mile for their customers when a problem arises. This is my second order from DA (first was a Mr. Bullet Feeder), and I can’t say enough good things about their company and customer support. Great set and real value for what I paid for it! Only eye protection I wear from now on. I received my DAA Optics Bravo Elite on Wednesday and got to try them out for the first time this weekend. I found them very comfortable. They provide greater coverage than my last optics as they cover above my eyebrows. The nose support did not leave pressure marks on my nose as do many makes of glasses. The arms are well designed so the pressure of the ear protection does not give you that ache next to your ears that you normally get from wearing ear protection for long periods of time. I am very happy with the Bravo Elite OpticsPlanet. I received my DAA Optics Bravo Elite on Wednesday and got to try them out for the first time this weekend. I found them very comfortable. They provide greater coverage than my last optics as the cover above my eyebrows. The nose support did not leave pressure marks on my nose as do many makes of glasses. 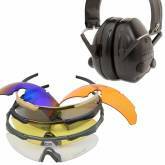 The arms are well designed so the pressure of the ear protection does not give you that ache next to your ears that you normally get from wearing ear protection for long periods of time. I am very happy with the Bravo Elite OpticsPlanet. 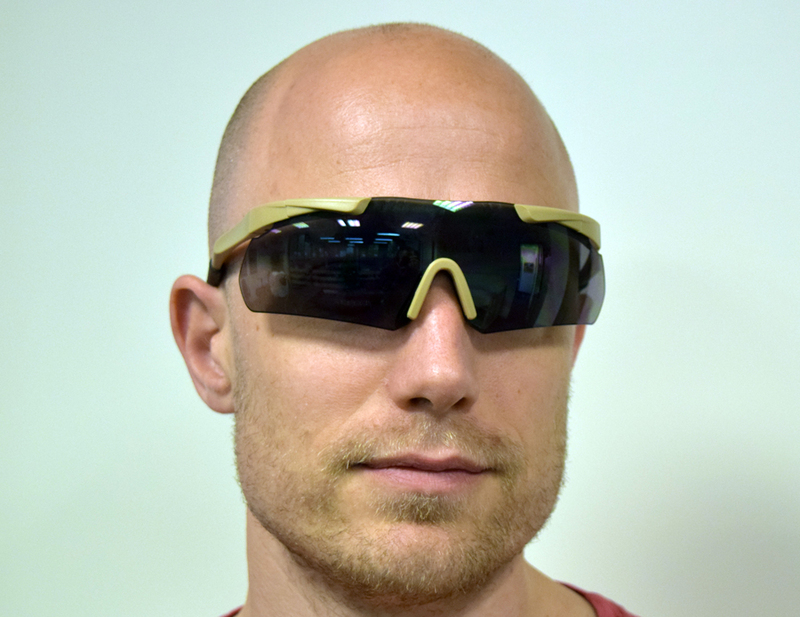 The DAA Optics Bravo-Elite Set is the latest addition to the DAA Optics line, and is a more Tactical/Military orientated look and feel. 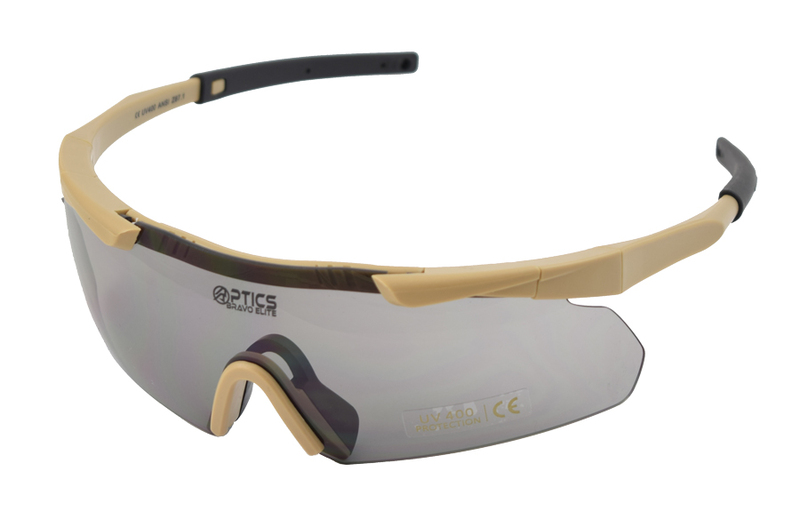 The Bravo Elite Frame has an extremely durable construction, and a double lockup system for the lenses, ensuring increased ballistic and safety level. Two rotating locking levers provide secure retention of the lens, and a practical means to interchange lenses when needed. 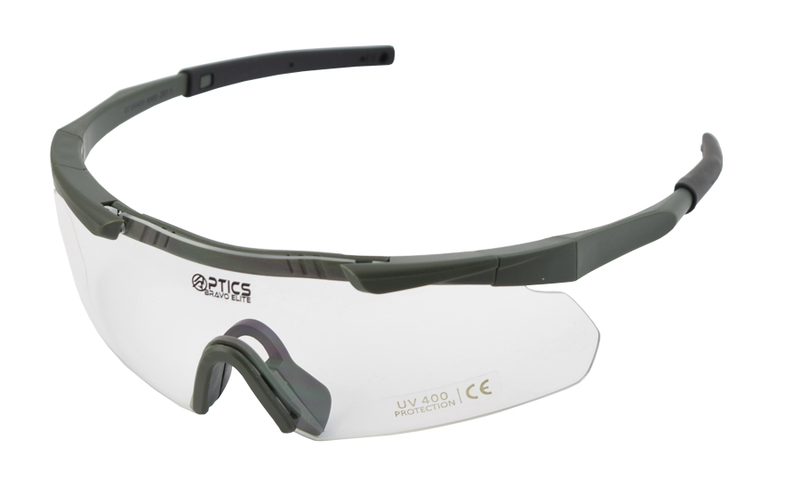 The ANZI Z87.1 safety rated lenses offer full UV400 protection, and a clear, wide field of view. 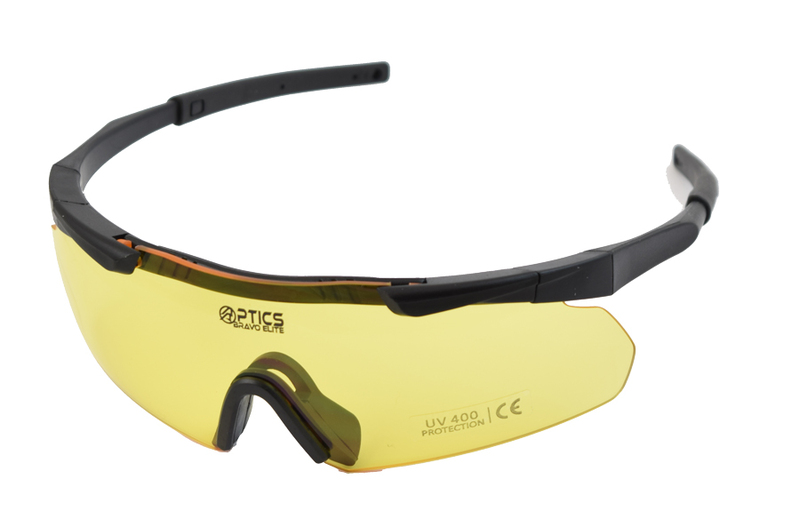 The wide wrap-around style lenses provide good coverage and protection from any angle. Rubberized slim side-arms ensure a comfortable fit, and good compatibility with hearing protection. 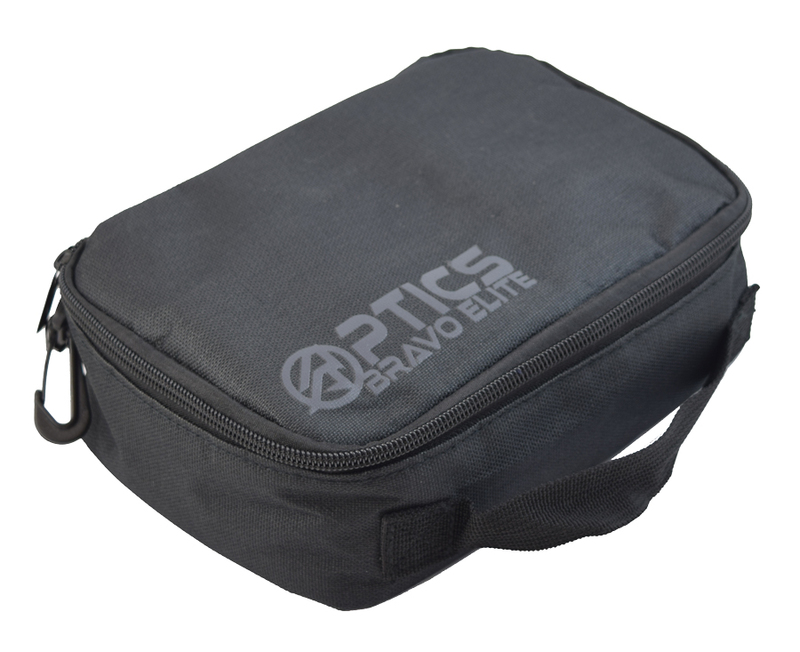 The custom made carry case is a soft, padded, tactical-style case, with a practical handle, a D-ring hanger attachment and a heavy duty quality zipper. 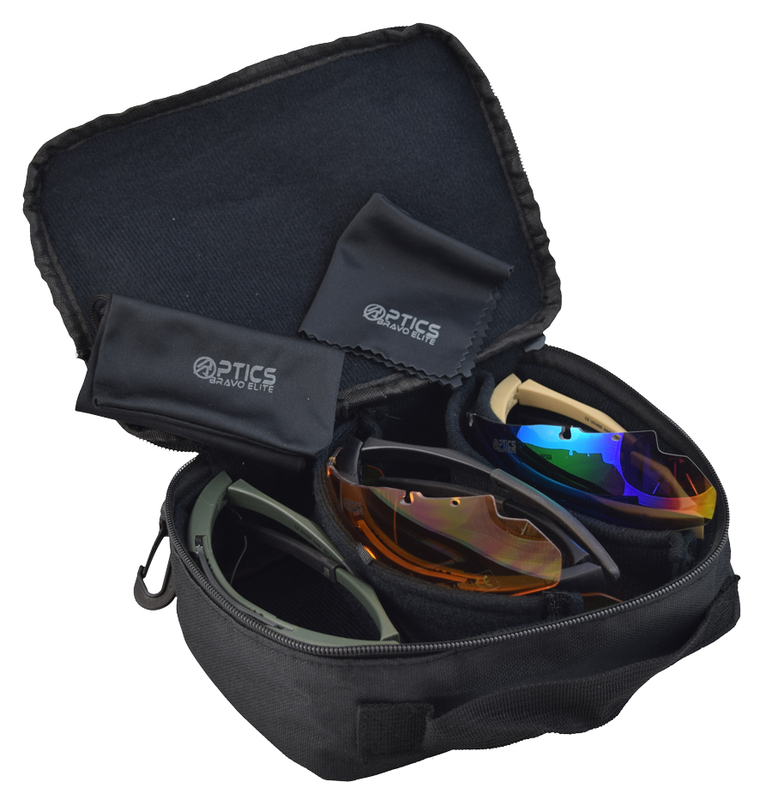 The case has padded compartments for all three complete frames as well as lined pockets for the additional two lenses provided.